I'm starting a bit early on my 2016 Favorites this year! I looked back on my past favorites and I definitely see some repeaters from the 2015 Favorites posts too. I had to be honest to myself and admit that I don't actually use blush that often too and so I combined my favorites for both the colored face and base products into one post. Primers don't really do much to me and so I tend to skip on those. 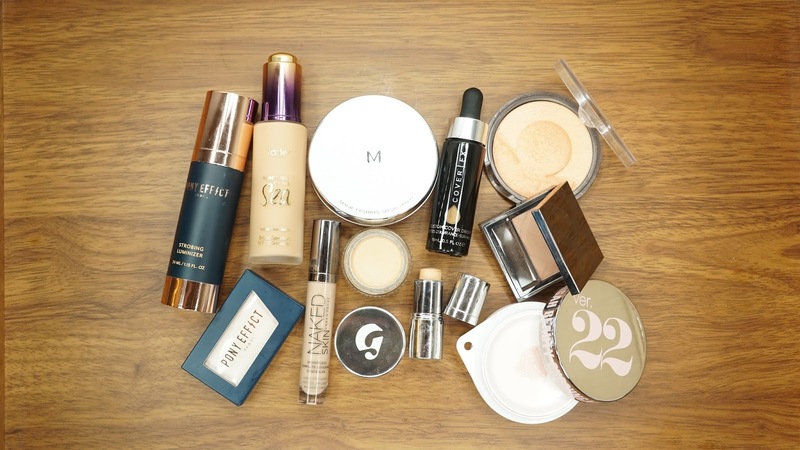 Instead, I got into bases products that add more moisture and/or glow to make my face look more dewy. 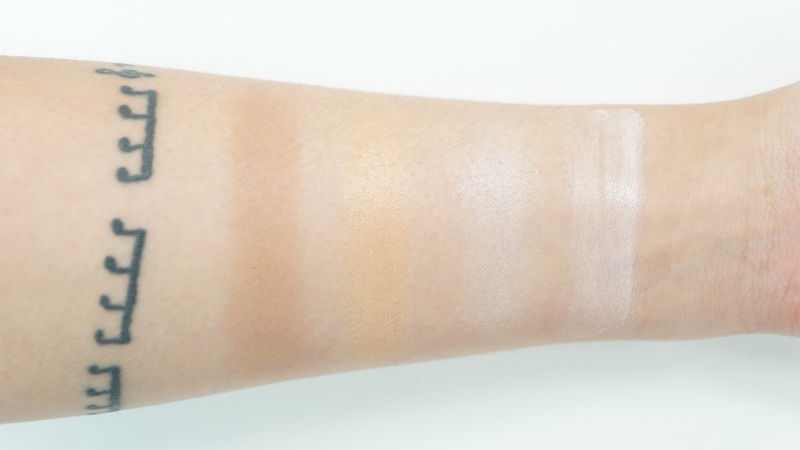 One of my favorites has been the Pony Effect Strobing Luminizer *(review here). Memebox actually sent me this to test out and I became so hooked that I mention this all the time. I wear it under and on top of foundation and it works great both ways. Last year, I highly praised the Bourjois Health Mix Foundation and while I still love it, I didn't really use it a lot this year. My bottle is almost out and it's hard to get my hands on a new bottle in the US and so I've moved on to some newer choices. Well, mostly new. I still use and repurchase the Cover FX Custom Cover Drops in G40 all the time. The current bottle and the Cover Click in G40 were actually from a giveaway I won through Cover FX's Instagram. I use the drops to create my own foundation with moisture, adjust foundation colors, and to bump up the coverage of any liquid foundation I have. For the Cover Click, it's so handy for when I visit my boyfriend on the weekends. 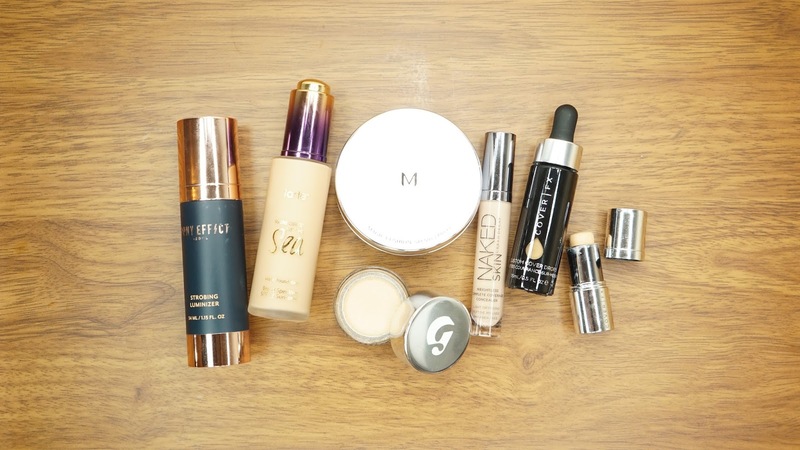 It's small, but works as a foundation and even as a concealer. An instant love upon first application during 2016 is the Tarte Rainforest of the Sea Water Foundation in Light-Medium Honey (review here). It's a thin but pigmented foundation that gives me medium coverage with just a couple drops. I barely feel it on my skin and the finish is perfect for my preferences. 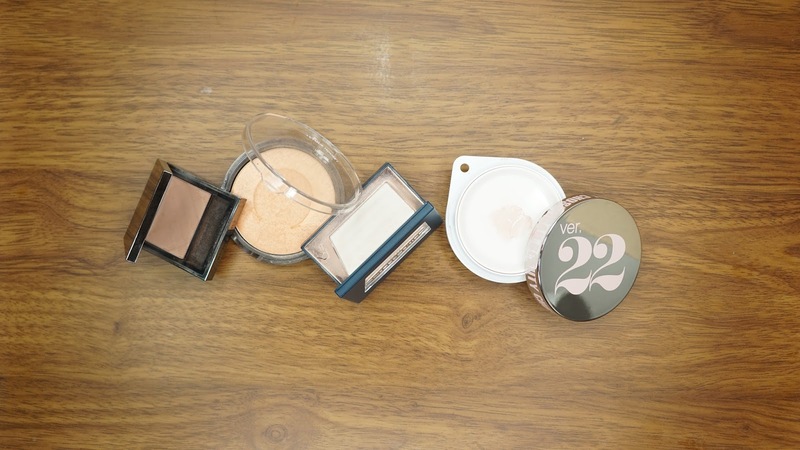 When I don't want to deal with a brush, cushions have been my go-to choice and the Missha M Magic Cushion Foundation in #27 was the first one that popped into my head. It also has a medium finish, feels light, and leaves a naturally dewy finish. The Missha M Perfect BB Cream was actually one of my first BB Cream / Foundation ever as well and so when I found out that they released a cushion in my shade, I had to get it! For concealers, I've been alternating between the Glossier Stretch Concealer in Medium and Urban Decay Naked Skin Foundation in Medium-Light Neutral depending on how much I need to conceal. I'm not actually that loyal when it comes to concealers because I'm lazy and usually rely on foundations instead, but these two are now front and center on my desk to be one of the first things I use in the morning. I've taken a step back from contouring but like last year, the Burberry Light Glow Blush in Earthy has continued to be the product I go to. It's light and on the sheer side, but it just works with my skin to create a natural shadow. I feel bad about this blush favorite, but I'm still really enjoying the Etude House Snow Dessert Ginger Cookie Blusher* (review here) so much and I got it about a year ago. I barely wear blush and this is in between an orangey highlighter and blush and it's so easy to wear. Maybe 2017 will be the year I get into blushes though? For actual highlighters, have you become tired of me mentioning the Pony Effect Mirage Highlighter in Lucid Dream* (review here) yet? It's slightly off white and on the cream color side of highlighters, but I love it. It's so smooth even though it's subtle, it gives me a beautiful glow. For something more natural but amazing for during the dry winter season, the Chosungah22 24H Raybeam Cream in Pink Glow (review here) is my choice. I can't wear stuff on top because of the creamy finish that doesn't quite set, but I'm fine with that. A runner up is the Marc Jacobs Glow Stick in Spotlight is absolutely lovely. It almost made it in this post, but I feel like it's too yellow for my normal day tastes. What were your favorite base and cheek products during 2016? What kind of blush would you recommend for a newbie?